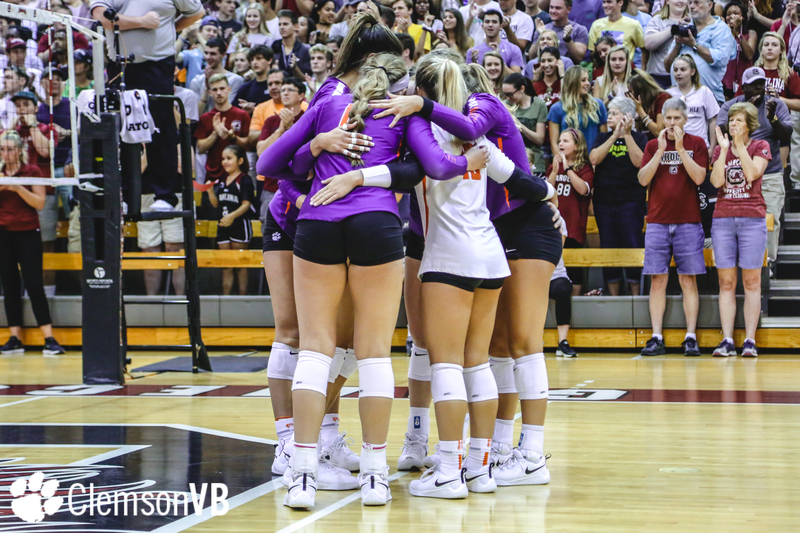 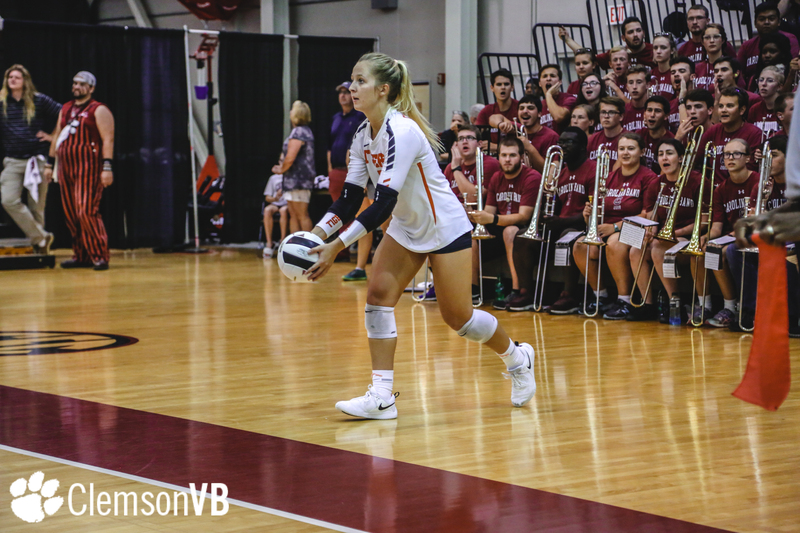 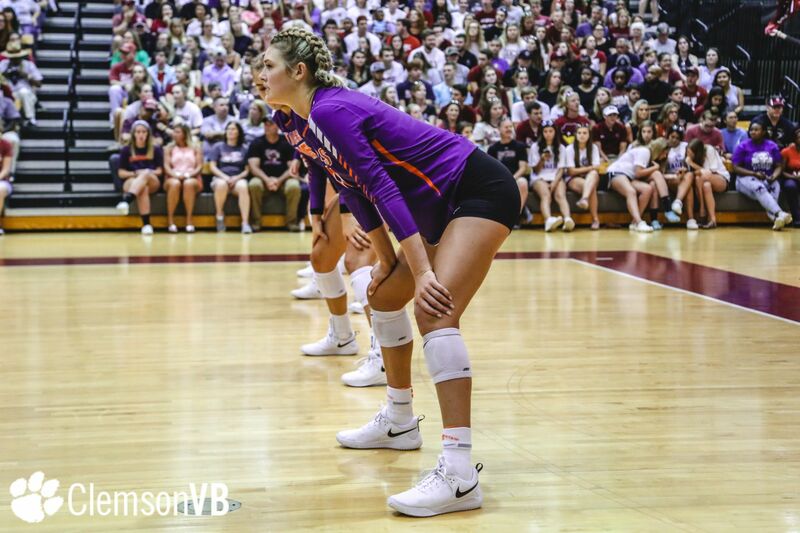 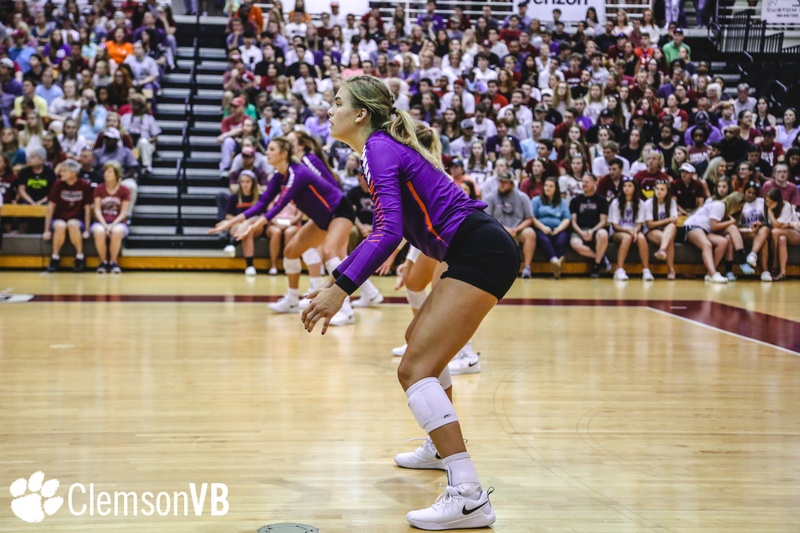 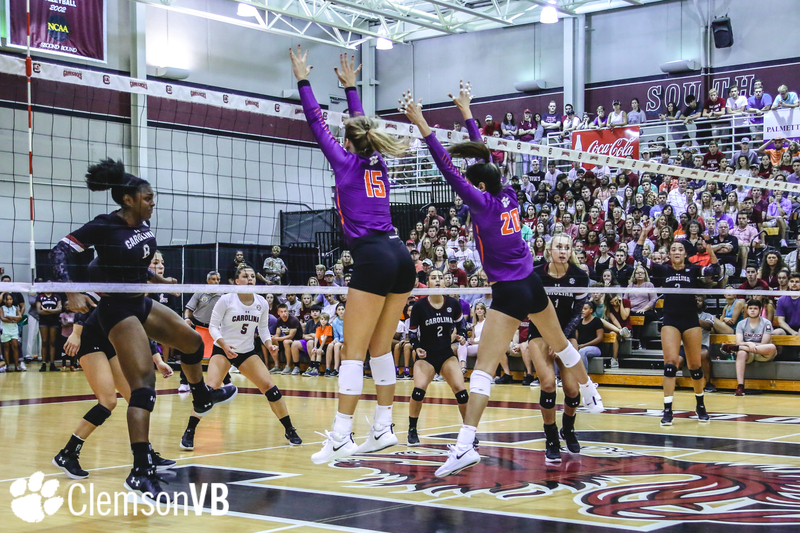 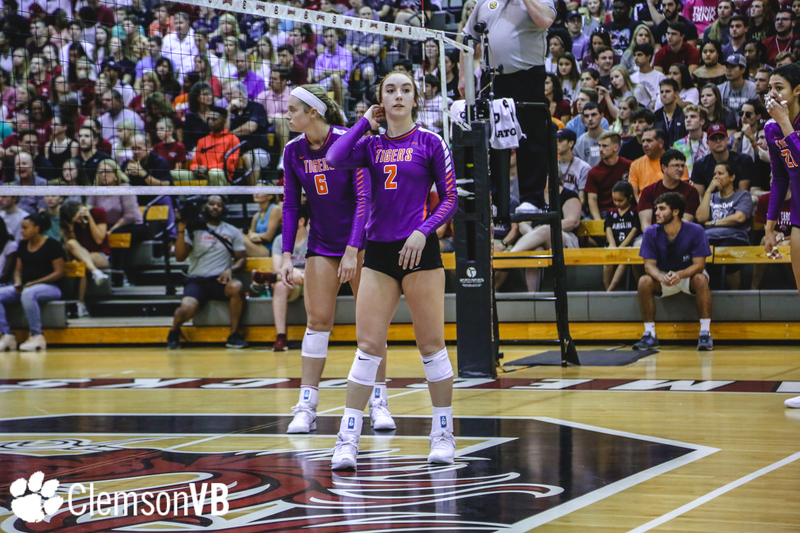 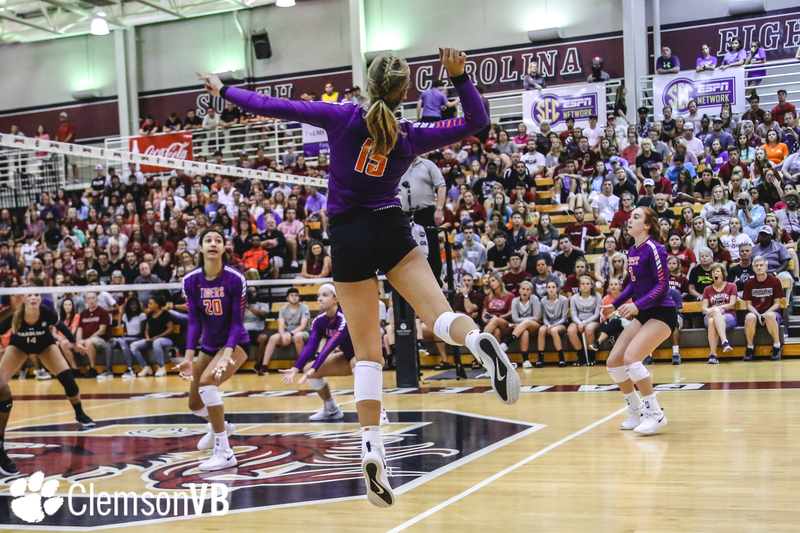 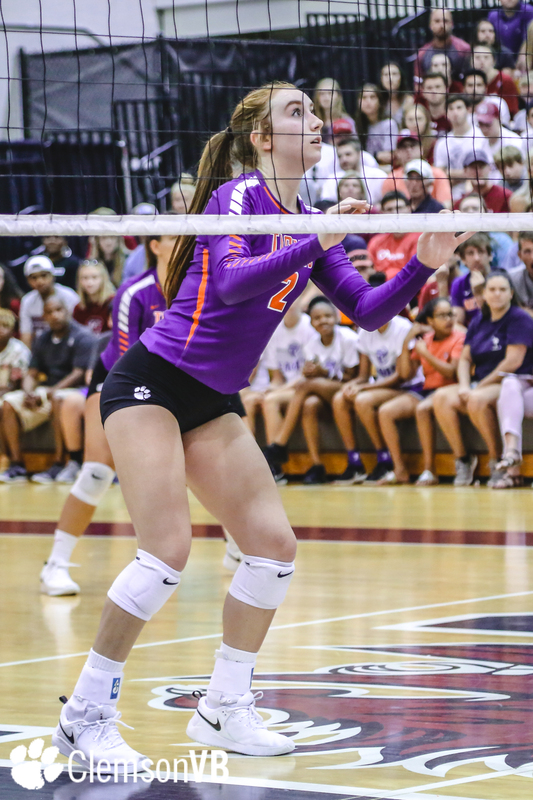 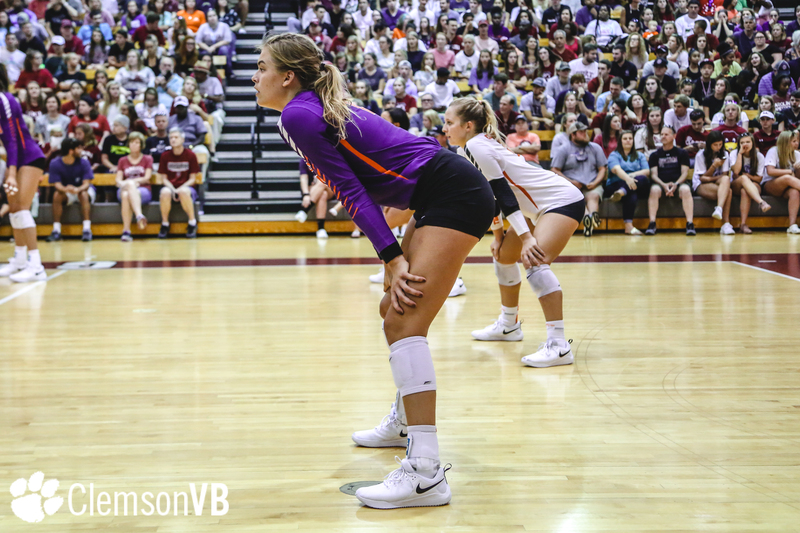 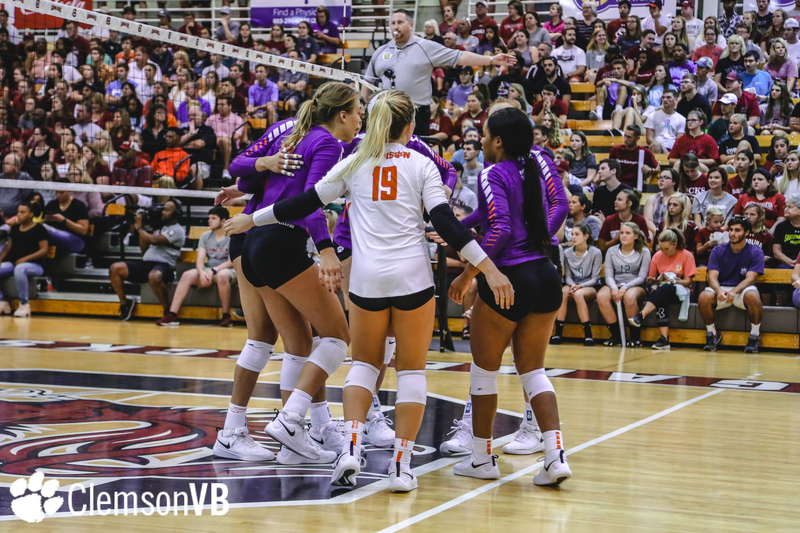 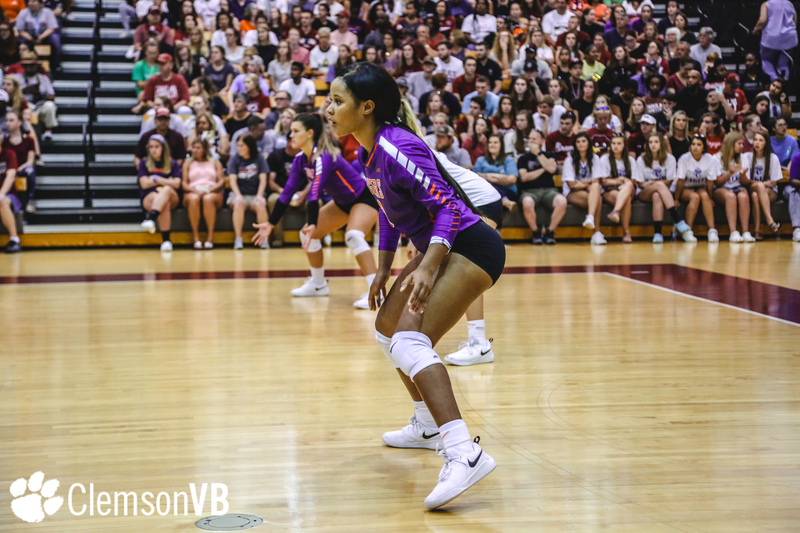 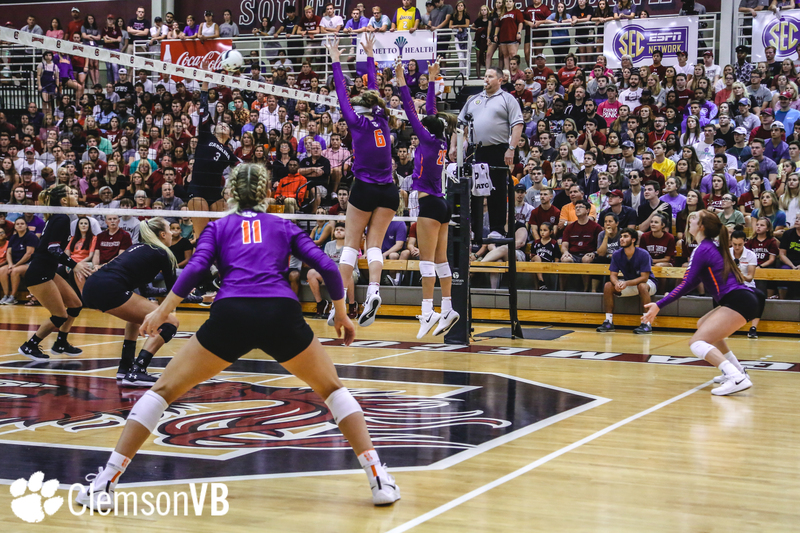 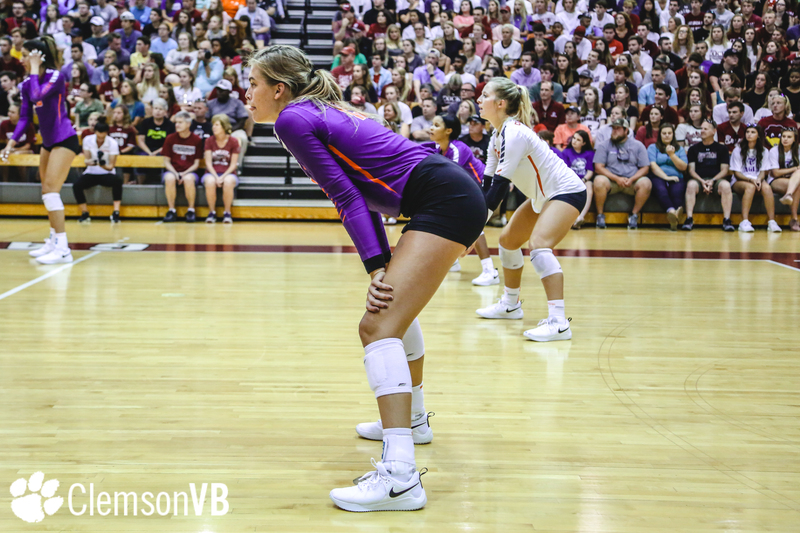 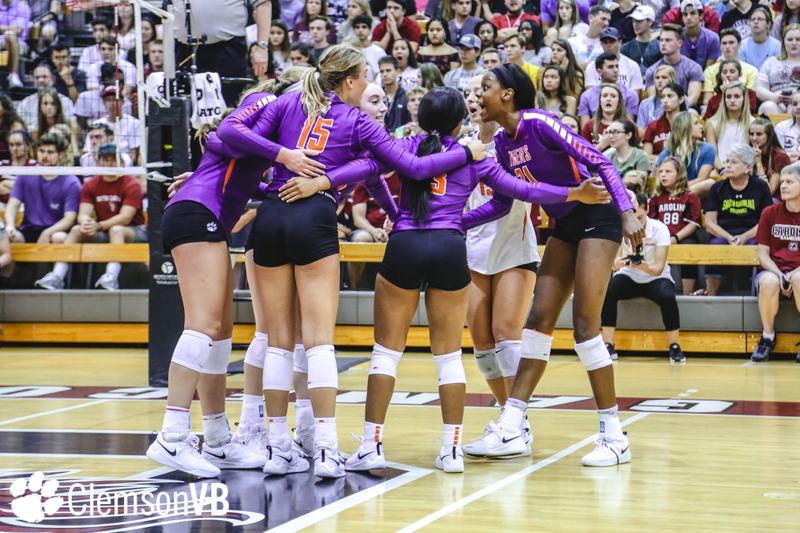 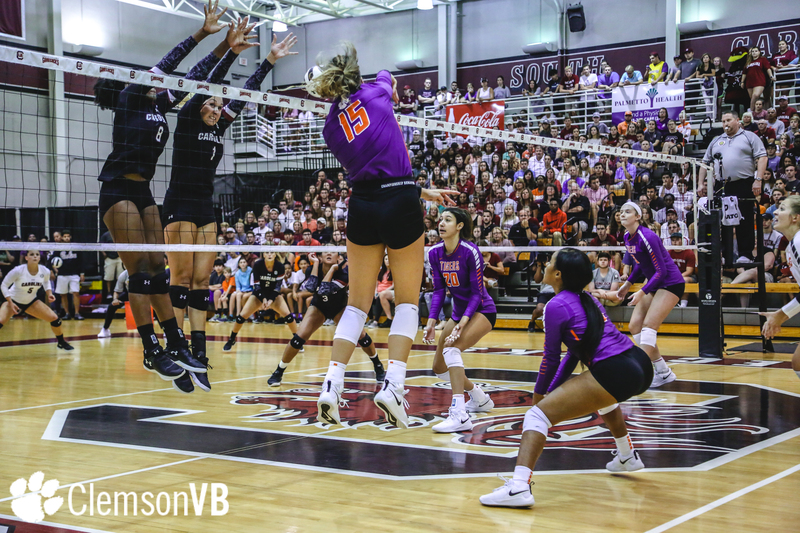 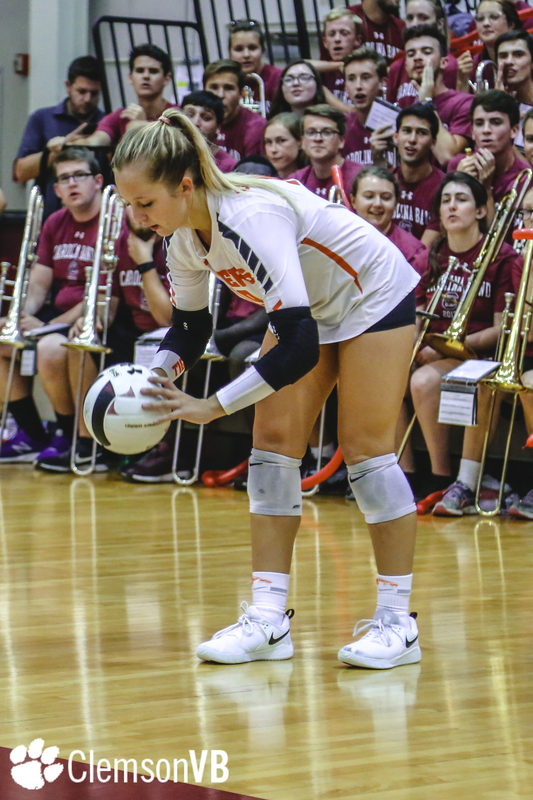 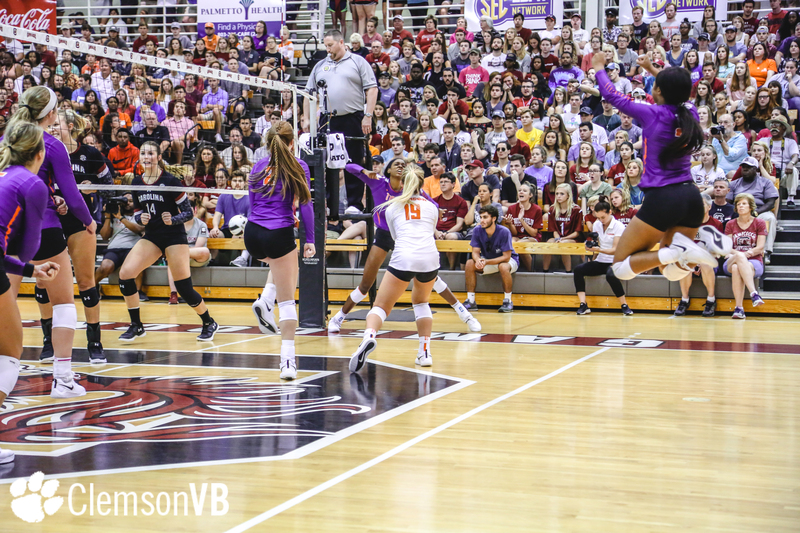 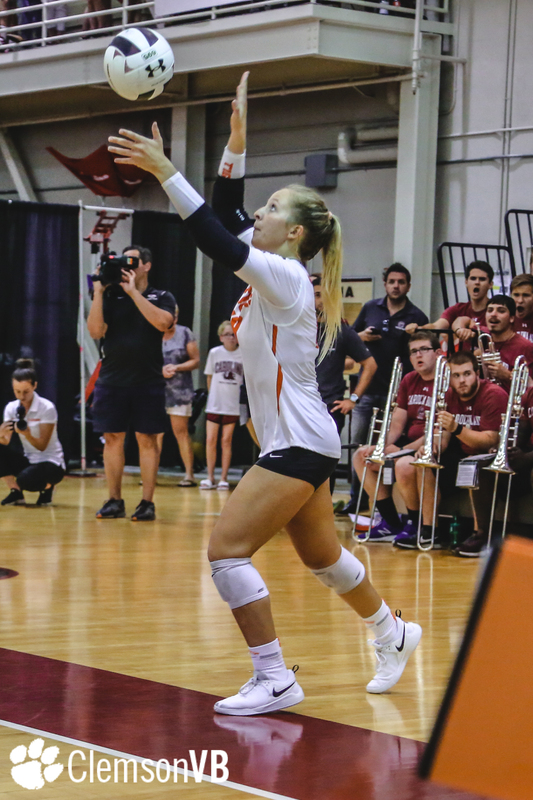 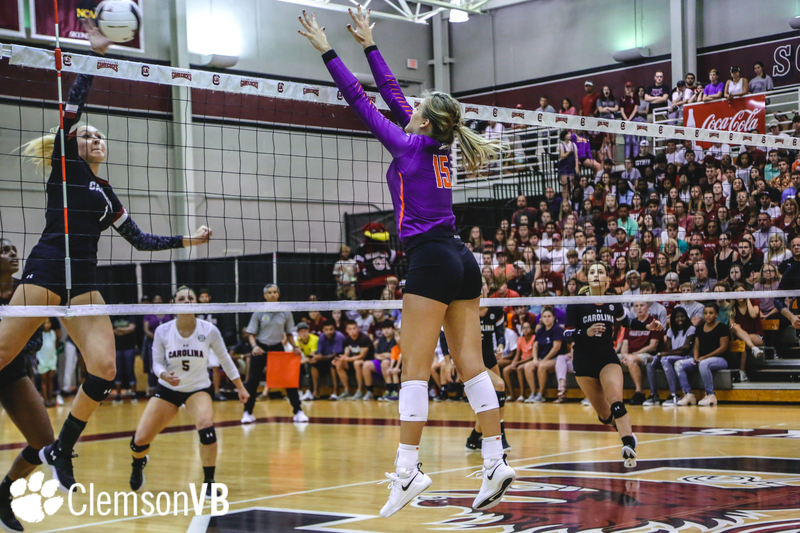 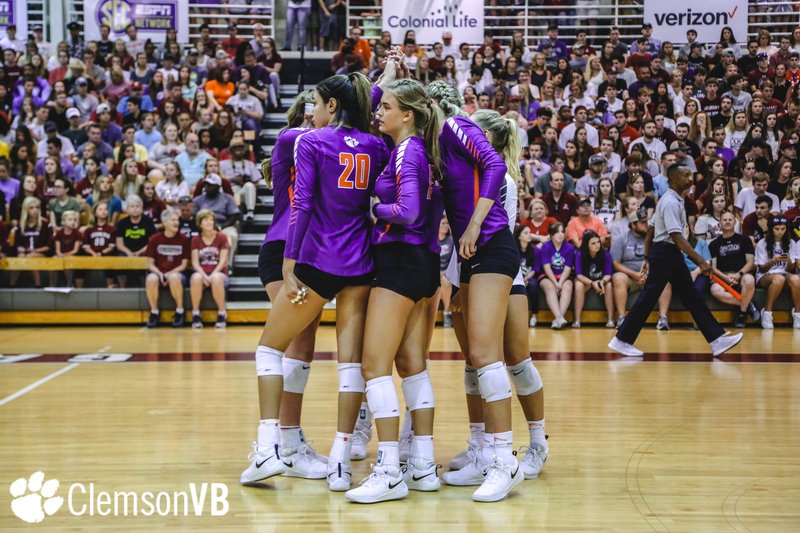 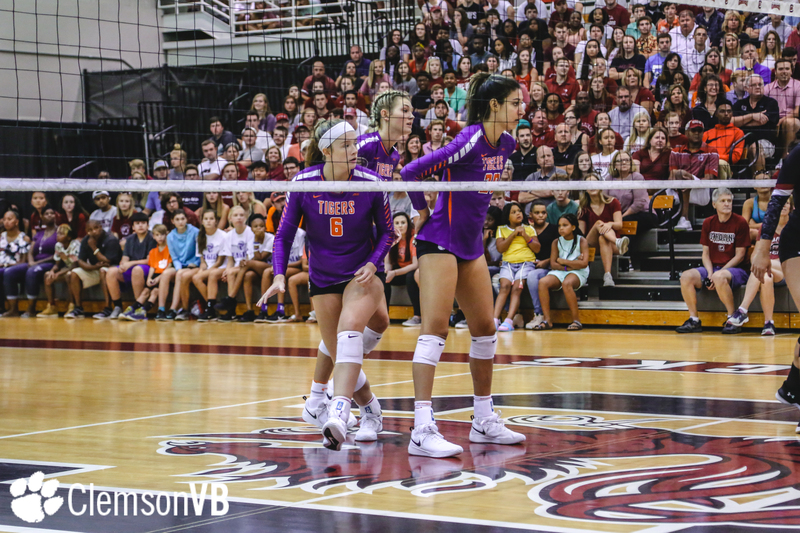 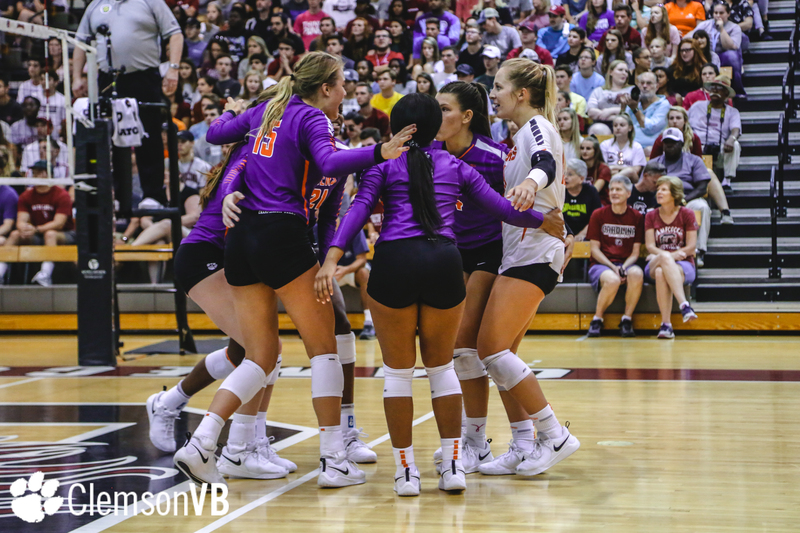 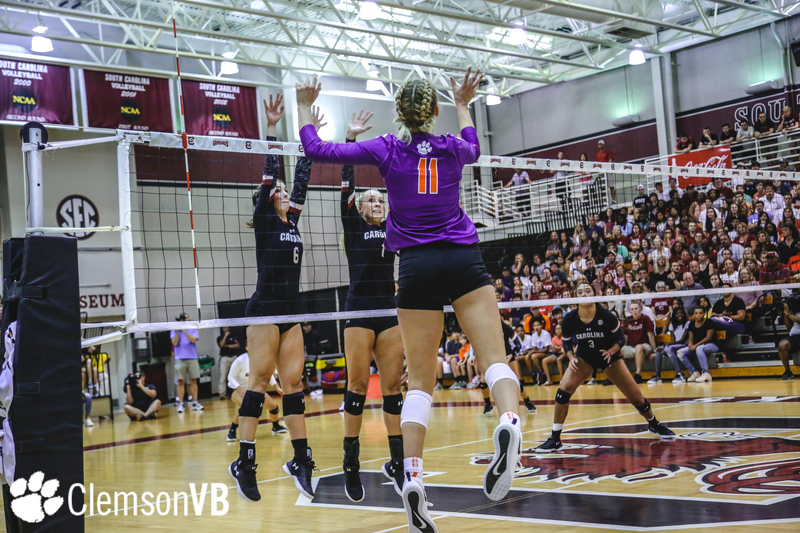 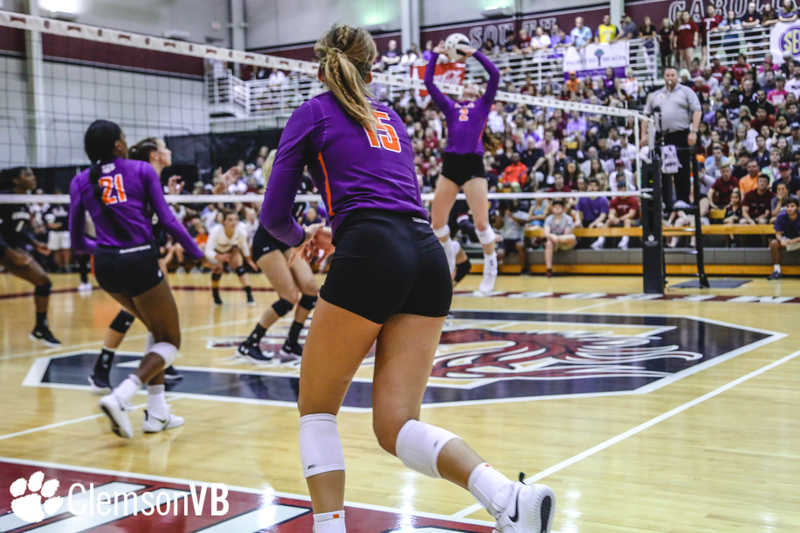 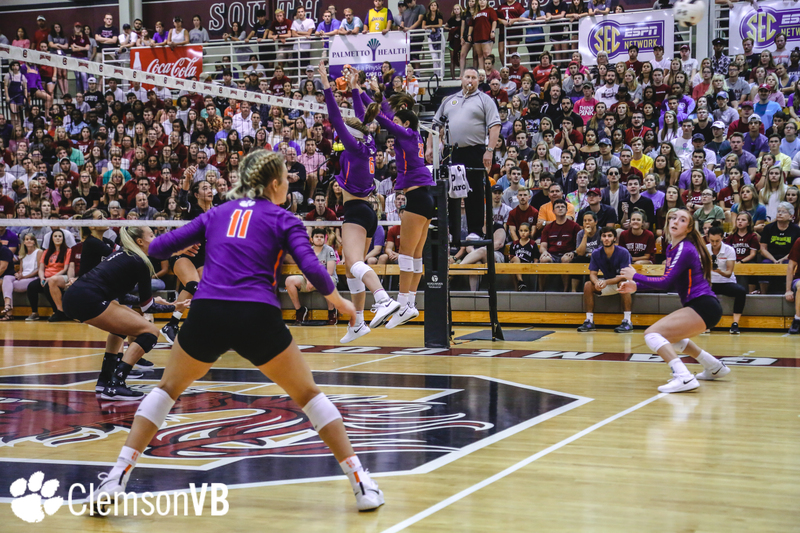 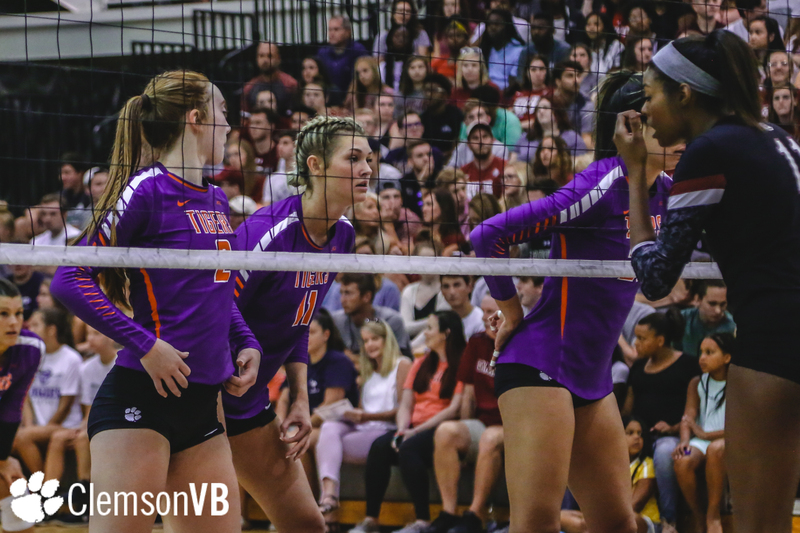 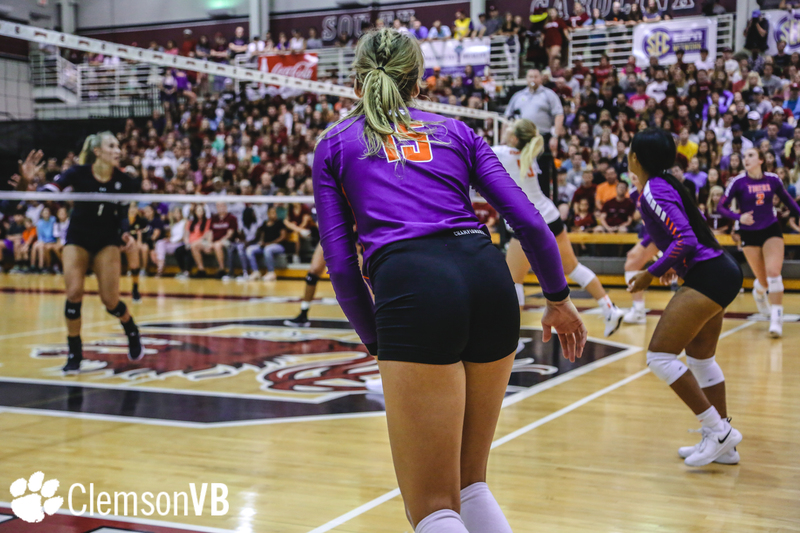 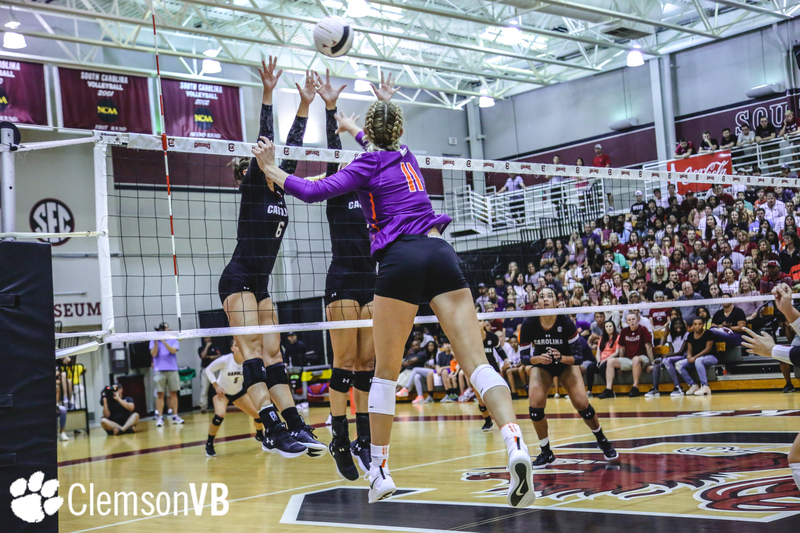 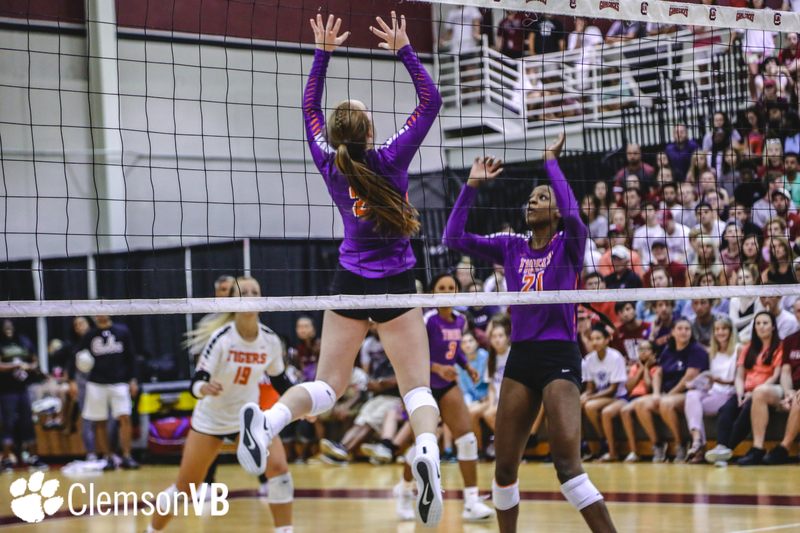 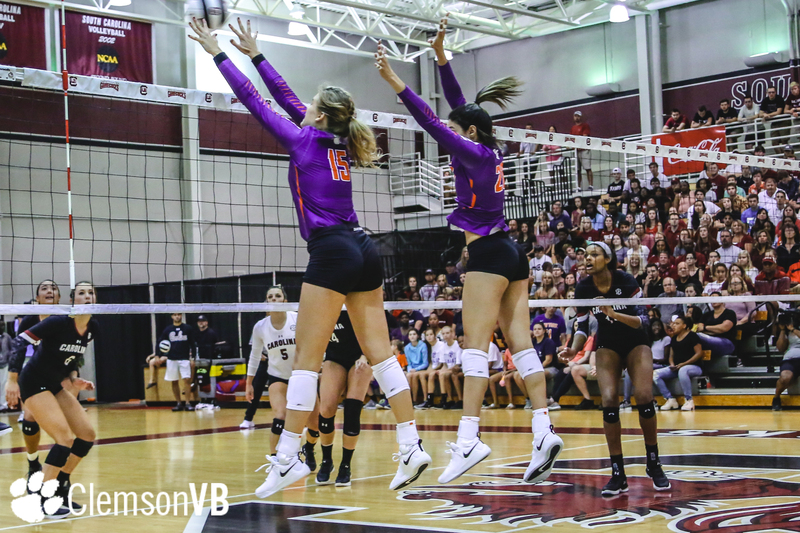 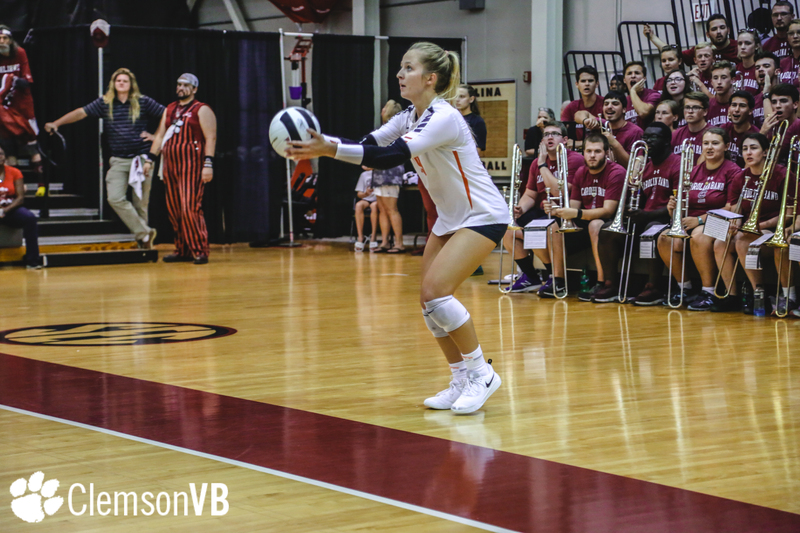 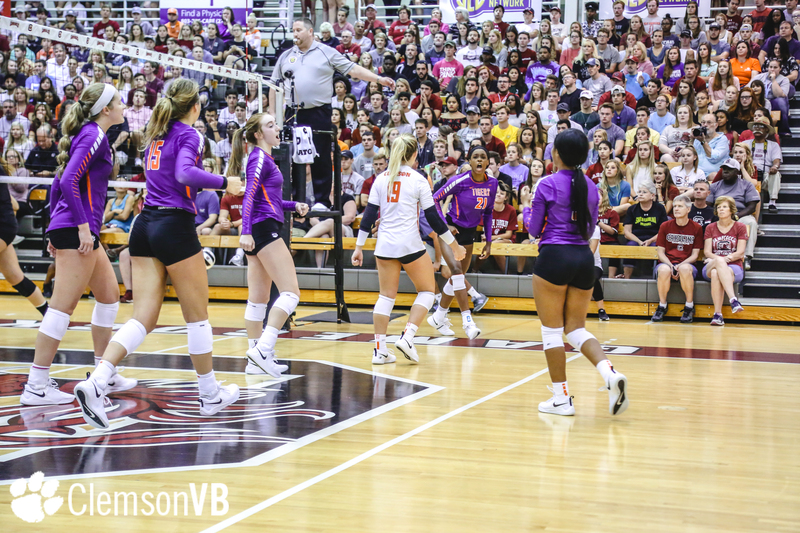 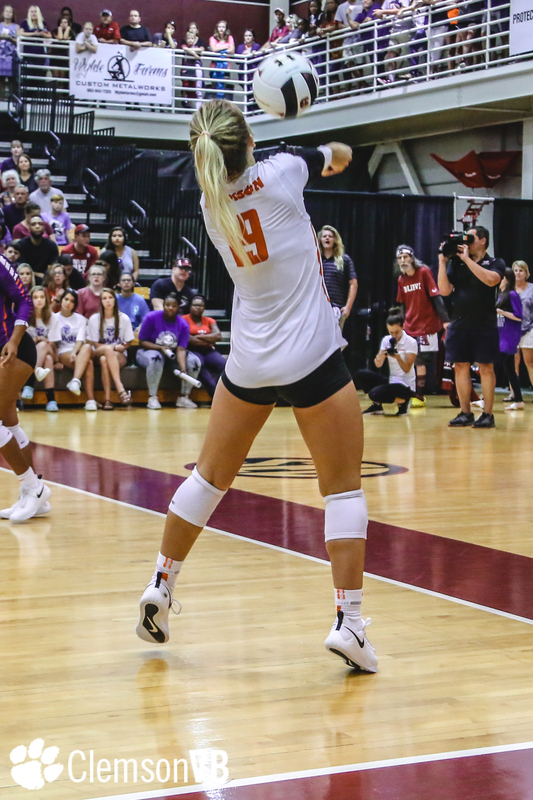 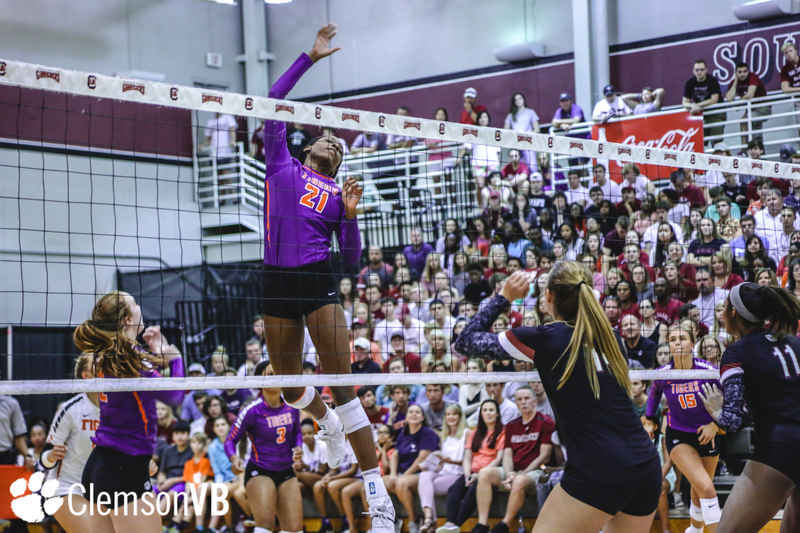 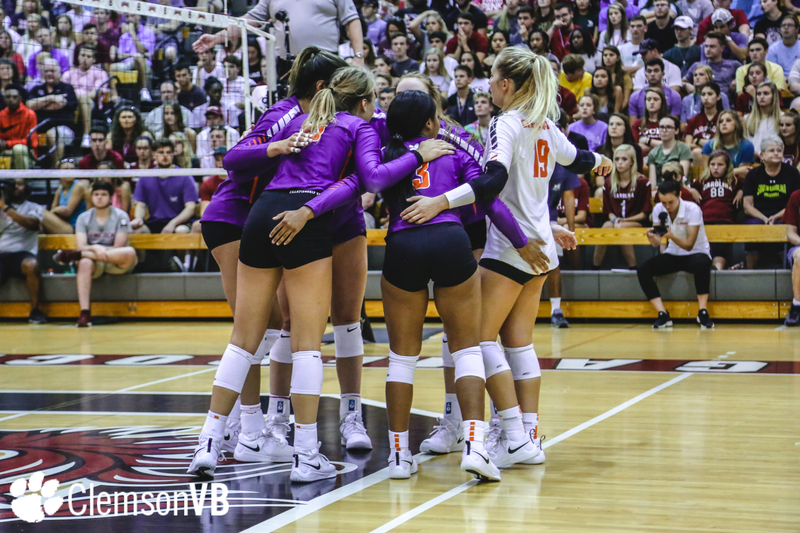 COLUMBIA, S.C. – The Clemson volleyball team fell in three sets (21-25, 22-25, 18-25) to South Carolina Saturday in the Tigers’ third and final match of the Gamecock Invitational. 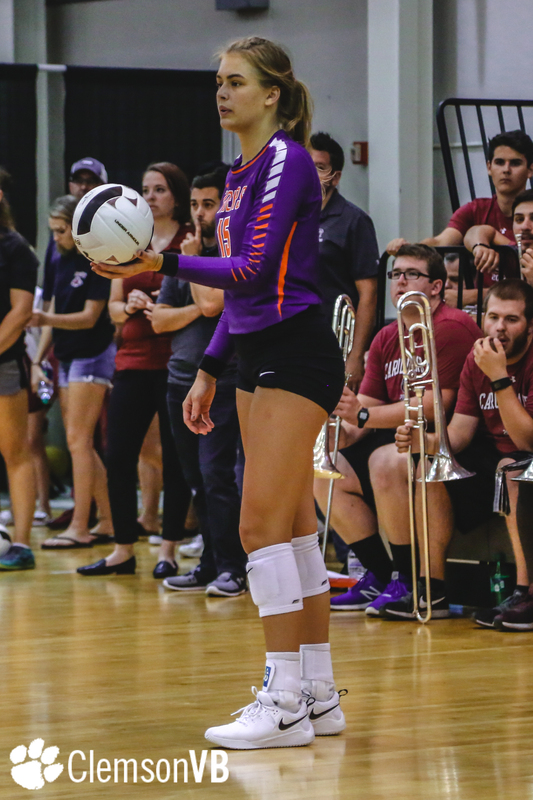 Freshman middle blocker Adria Oliver was named to the All-Tournament team after hitting .345 on 28 kills and 58 attempts for the tournament. 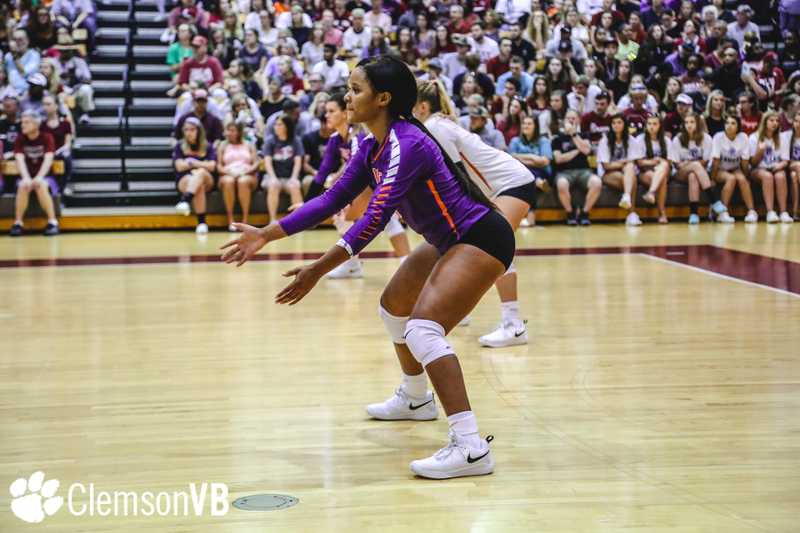 The Seneca, South Carolina native also recorded 12.0 blocks, a service ace and 35.0 points. 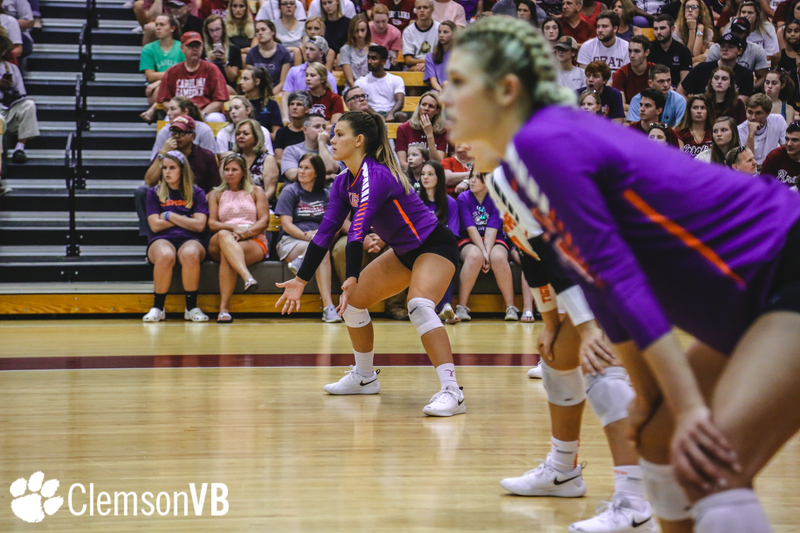 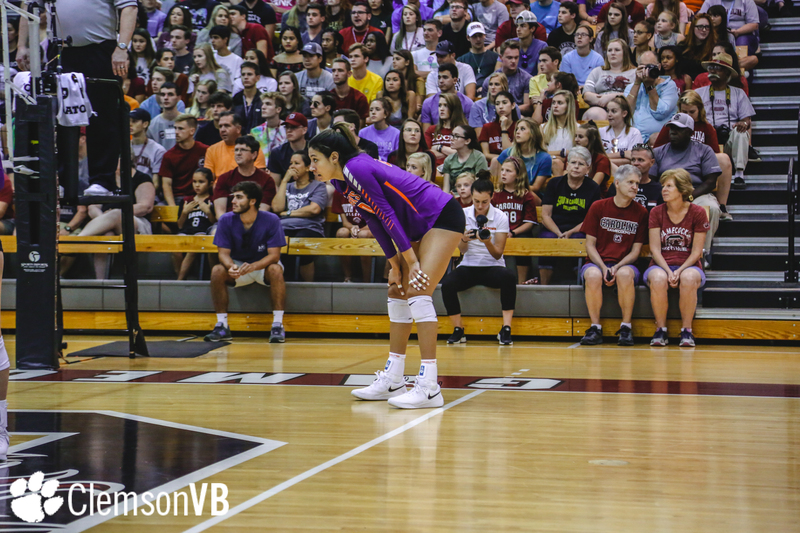 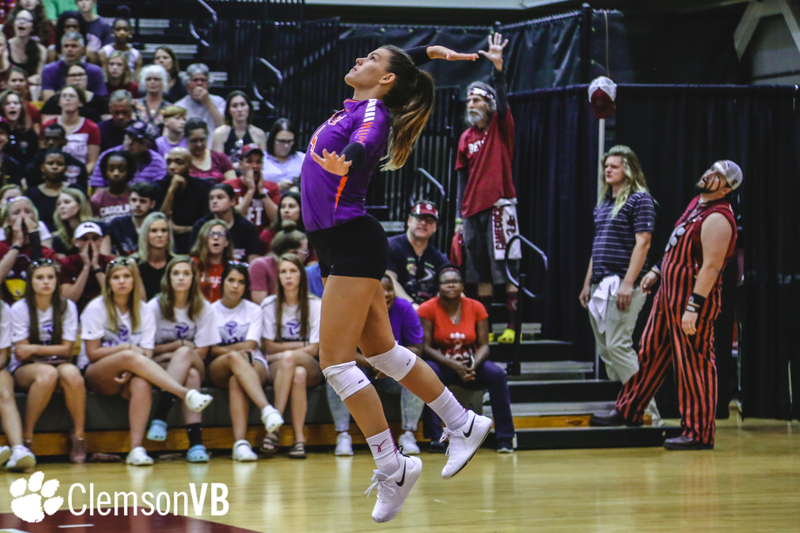 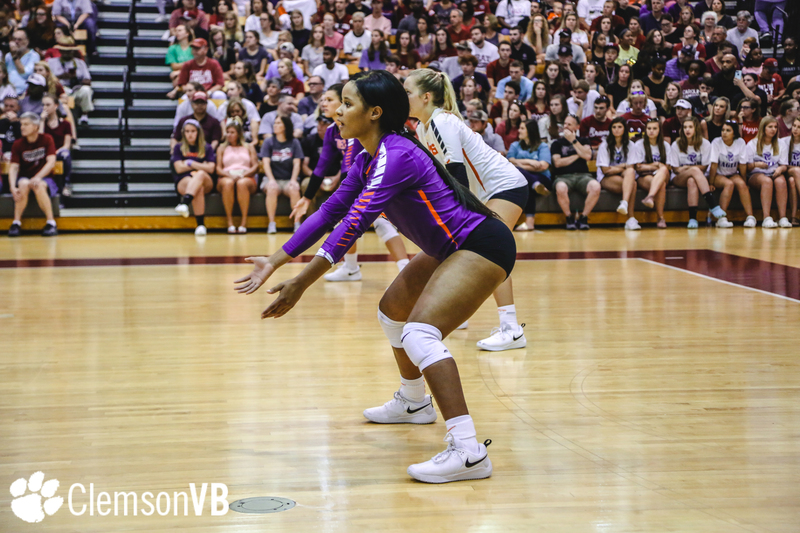 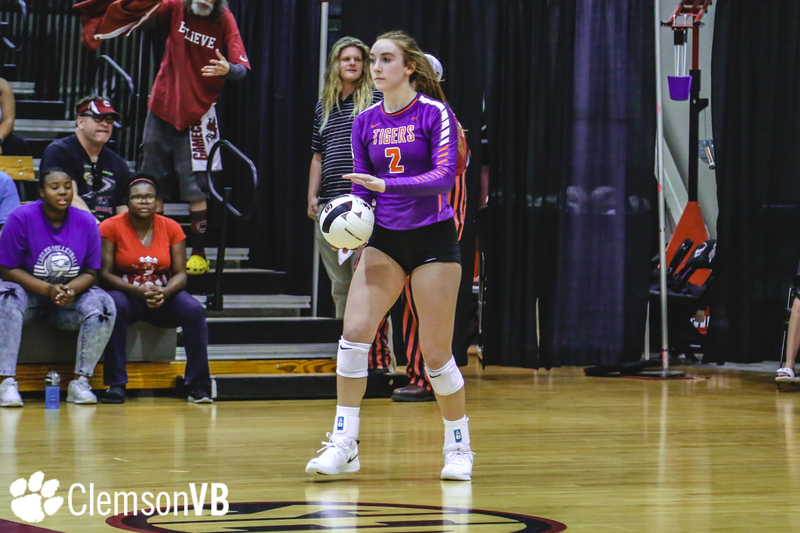 Freshman setter Gabby Easton posted Clemson’s first double-double of the season, nabbing 27 assists and 10 digs against the Gamecocks. 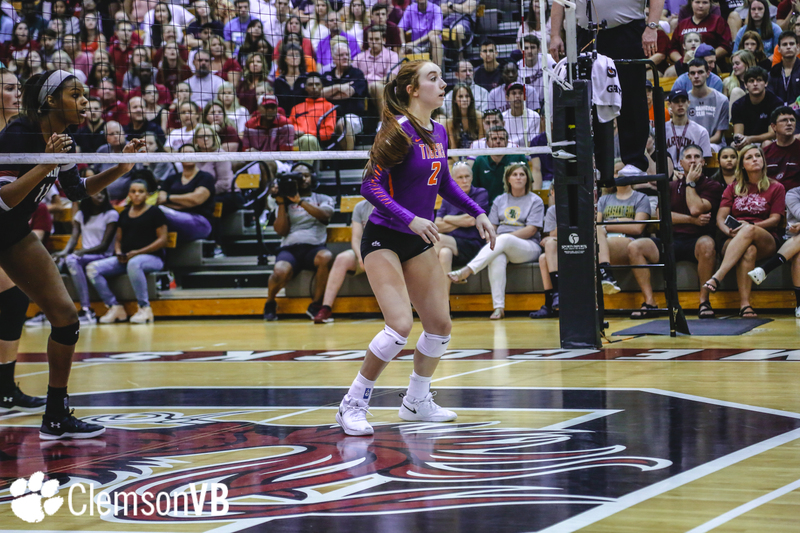 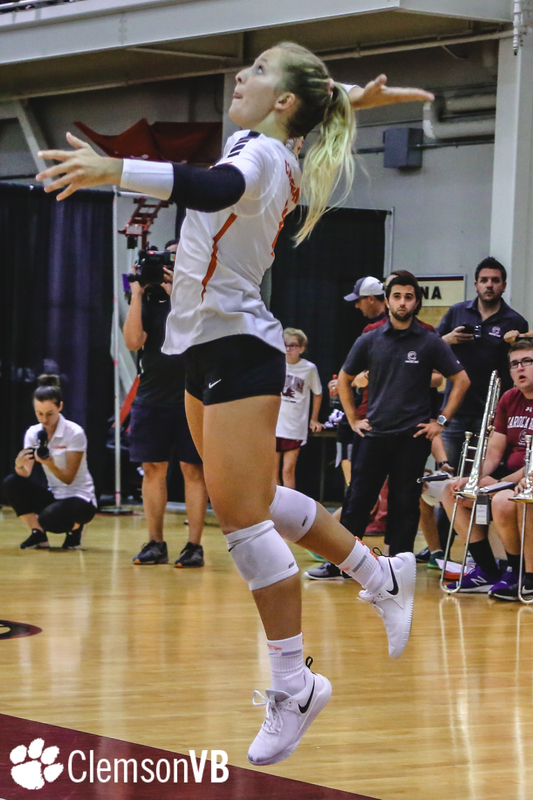 In addition to Oliver’s 10 kills, the Tigers got a nice lift from middle blocker Ava Pritchard, who totaled eight kills, while hitting .500 for the match along with four block assists. 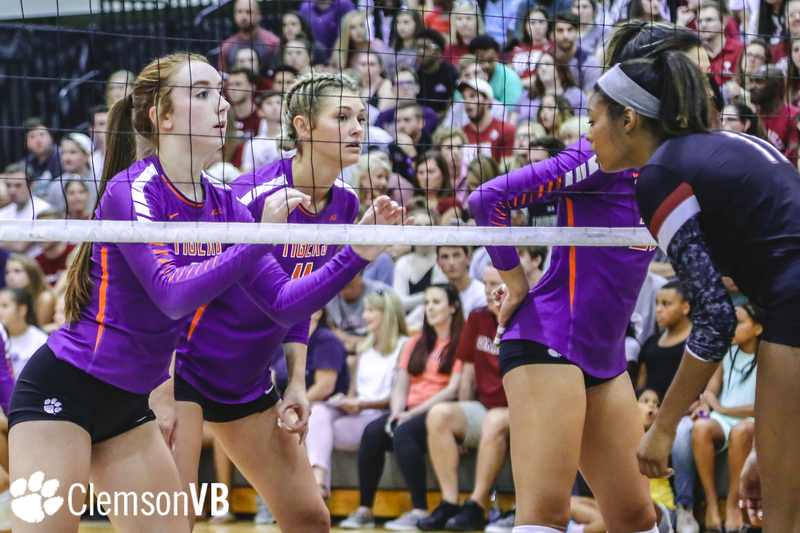 Up next, the Tigers head Boone, North Carolina for the Mountaineers’ Appalachian Invitational Aug. 31 – Sept. 1. 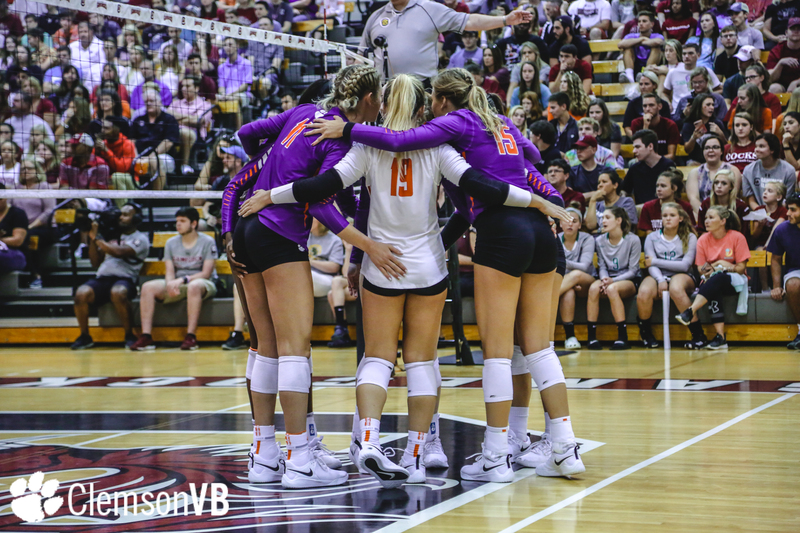 Clemson is set to face Mississippi State Friday (4 p.m.), and Appalachian State (12:30 p.m.) and Davidson (4 p.m.) Saturday.